His head and neck turned out great, but I messed up reall bad on the rest of 'em!! lol so I just croped the parts that I liked. I was thinking about using it as an icon...but I'm not sure right at this point. 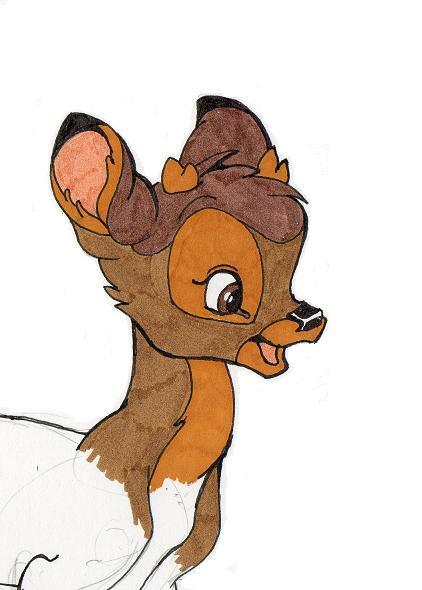 Oh my goodness :D I <3 Bambi!! It's like, my favorite Disney movie. :) My friend calls me Bambi, too... xD I love this!